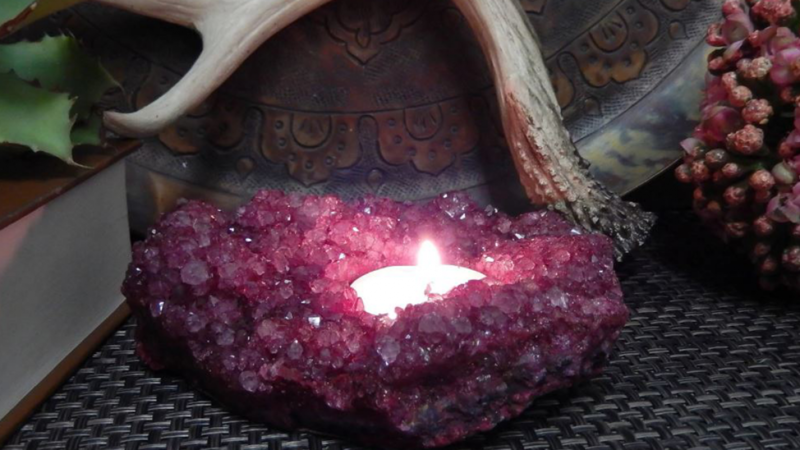 This one of a kind red dyed crystal candle holder is truly fabulous. 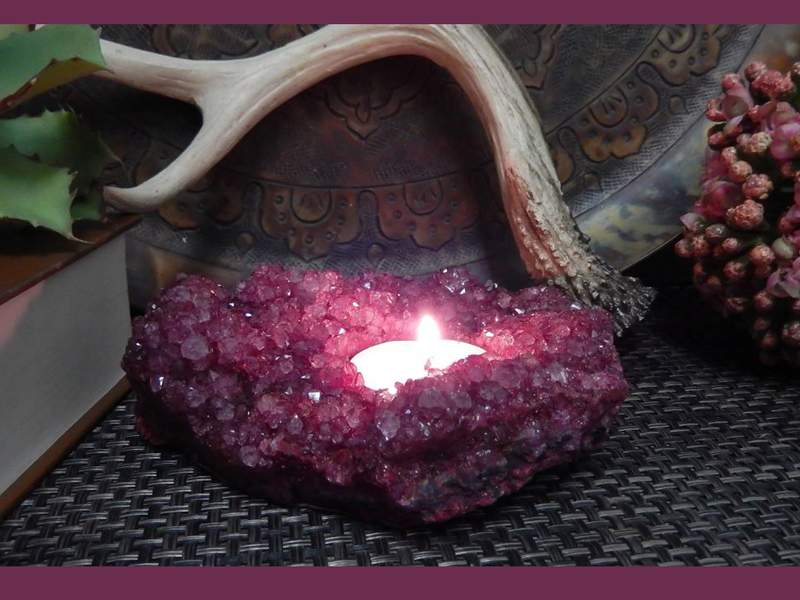 It is a wonderful display piece that will shimmer in the light of your candle. You will love the way that this holder adds to the atmosphere in your home. Burning candles is enjoyable because they provide beautiful light and you can get many wonderful scented candles. This holder does not come with a candle so you can use it to burn your favorite scents. Scented candles are loved by many people because there is such a wide range of scents available. Some people prefer them to incense or spray can air fresheners because they provide smoke free scent that lasts. You will love this handmade candle holder because it is 100% unique. There is only one of these so you will be the only person who has it. The candle holder measures approximately 5 inches by x 4 inches x 1.5 inches. Looks amazing displayed on a side table or anywhere else. A beautiful and unique gift idea. Anyone who loves interesting items is sure to adore this as a gift. Add some scented candles to make a gift pack that is sure to be loved. You can give it as a gift for almost any occasion at all. If you like this amazing candle holder you might also like to check out the following cool items.